One of the most common types of natural disasters that plague independent home owners is flooding. It may be the result of heavy rains, storms, or tidal waves emanating from earthquakes in the sea. In cases when the accumulation of the water is insignificant, homeowners may be able to prevent their property and furniture from too much damage due to water. 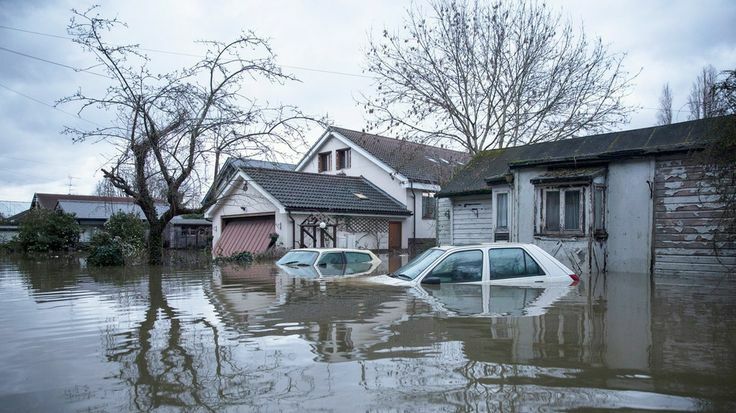 If, on the other hand, the water logging is substantial, you can have a tough time salvaging your home and belongings. When a home gets damaged by flood, it becomes necessary to clean and mend all the affected parts. More often than not, the victims of water damage in all homes are the same – the basement, the roof, the walls, the floor, the furniture, and the appliances. The sight of your home soaked in and damaged by water can be heartbreaking to say the least, and can leave you shaken. It becomes difficult to think straight in the face of such adversity. It is, however, extremely important that you get a grip of yourself and handle the situation calmly. Mentioned ahead are a few steps that you can take in cleaning up your home after a flood. In order to salvage your property, one of the first things you need to do is evaluate the damage and get rid of all the wet material from your home. Before you do so, ensure that your home is safe to enter, especially if the water hasn’t completely receded. Check with local officials to make sure that the area is secure. When water is logged in homes for extended periods of time, they run a danger of it getting affected by structural issues. Do not enter your basement if water is still accumulated and the power still connected to avoid the risk of getting electrocuted. Even if the water has retreated, enter your home only after ensuring that the power is off. Apart from that, there may be several of your belongings, including electrical appliances that can be sunken under water, just waiting to cause potential electrical hazards when turned on. Hence, it is best to disconnect the power, unplug the devices and remove them from the scene immediately. Remember, the faster you get them out of the water, the higher will be the chances of saving them. If mechanical devices such as the furnace, the water heater and/or gas valves were also submerged in the water, it is suggested that you get them replaced altogether instead of getting them repaired and reusing them to be on the safe side. Your basement will probably be the worst hit among all the other areas in your home during a flood. This area will likely require the most cleaning. If your basement has windows, open them up for the stench to escape and let fresh air and sunlight in. Remove any standing water with the help of buckets, old towels and mops. If your sewers are clear, you can pour the water into the drain; or else pour it into your lawn. Be wary of using electronic gadgets such as sump pumps or a wet/dry vacuum to get rid of the water as it is a bad conductor of electricity. Use them only if your basement is severely flooded and you have safe power supply. For best results and your safety, engage the services of flood damage restoration experts to help you with this. Opening the basement windows will help in drying it out in some time. In the absence of windows, place fans and a dehumidifier in the basement to allow it to dry and enable air circulation. If you have a finished basement and the drywall was affected, you’ll have to separate the areas touched by the water as the drywall will disintegrate and the paper backing can cause/increase mold. Take your carpets and rugs off of the floor and remove their underpadding. If you get your carpet cleaned and sanitized, there’s a good chance you will be able to recover it. Cleaning it yourself can cause it to shrink, so it is advised to get it cleaned through a professional service. The underpadding tends to absorb a lot of water, and hence, it is unlikely that you’ll be able to save it. Related Post: Can Carpets Damaged by Sewer Backups Be Restored? Once the water has been removed, you will need to shovel out all the mud (if any) from the basement. Remove stains from the floor and the walls with the help of a high-pressure hose or with a brush dipped in a detergent-water solution. Clean water can be used to wash everything that has been retrieved from the flood. Once that’s done, clean everything again with hot soapy water. Disinfect all the flood-affected areas of your home using a solution made with ½ cup chlorine bleach and a gallon of water. Scrub the basement with it, spray it on your belongings and dip small items into it. 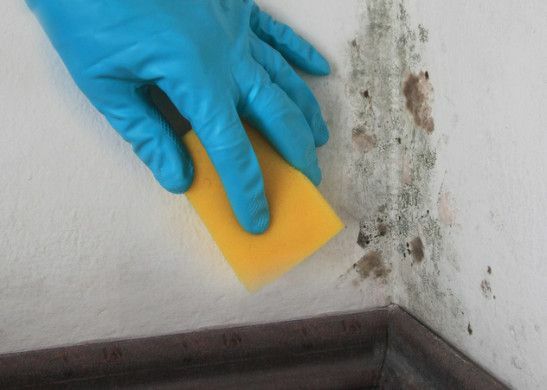 Doing so is important to prevent the growth of mold. Yes, the whole house takes an immense beating due to flood waters, which can wreak havoc and destroy your home. Taking quick and sensible measures, however, can go a long way in helping you minimize its adverse effects. Cleaning your home with the above tips in mind will help you bring it back to its normal state to a certain extent. Hiring professional cleaners will make this process more hassle-free and will also prove to be helpful in saving more of your property. Remember, quick and smart measures are going to be your best allies in restoring normalcy in your home.